Oneplus 2 Official CM13: Finally, Official Cyanogenmod 13 for Oneplus 2 is now available for Download and Flash. Previously, We was posted about Unofficial Cyanogenmod 13 for oneplus two, which is also pretty much stable for daily use. But Now Finally Official CM13 for OP2 is released, Which you can flash in your Device right Now. Flashing custom ROMs in Android devices is very much popular these days. Because Custom ROMs Can give you a new UI Feel in your device with tons of new features. Oneplus 2 is a Very Good Android Device Running on 810 Snapdragon Chipset. 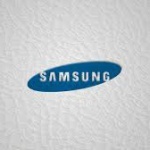 There are many kind of Custom Rom are available for Android devices like AOSP, Mokee, CM, Pacman, MIUI etc and much more. 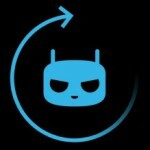 Cyanogenmod ROMs are very much near to stock Android with some enhanced features like theme support, Fully Customizable Status bar, notification panel etc. So In this Guide, I will tell you about How can you Flash Official Cyanogenmod 13 on your Oneplus 2 right now. For Flash Custom TWRP in your device from Step 3, You need ADB Drivers for Oneplus 2 in your PC. So Checkout below Easy Steps now for know more about How to Install ADB Drivers on oneplus 2. Goto Control Panel – Update & Security – Recovery – and click on Restart Now Option under Advance Setup option. Now your PC will Reboot, and Select The Options According to The list below. And Then Simply Press F7 To Disable Driver Signature verification, then it will reboot your PC and Now Simply Follow below steps for Install oneplus 2 USB Drivers in your PC. 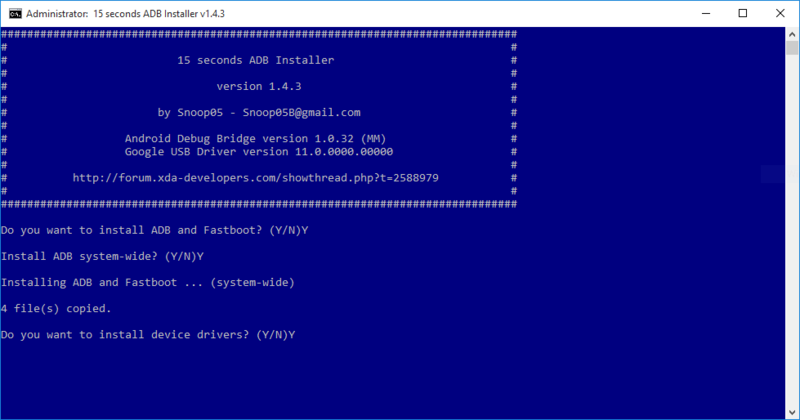 After that It will Start Installing these drivers in your PC, and you are ready to Go to next step. After Successfully Flash USB Drivers in your PC, Now you have to Download and flash Oxygen OS 3.0.1 Beta 2 in your Oneplus 2 for flash Cm13 later, Simply Flash it now from below easy steps. Now Goto Settings – About Phone – Tap 7 Times on Build Number. 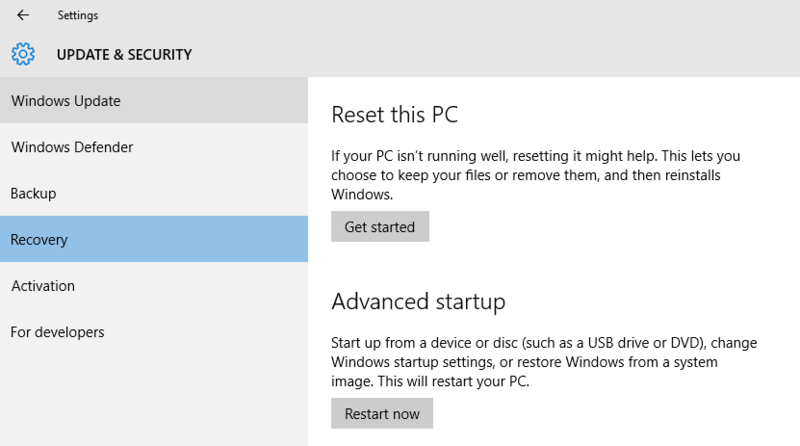 Go Back to Settings – Developer Options, and Simply Enable Advanced Reboot Option. 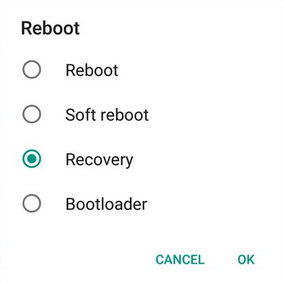 Now Long press power button, Select Reboot and Click on Recovery Option. Now Goto Wipe Menu and Wipe all Data from your device except Internal Storage, then Simply Flash this Oxygen OS 3.0.1 in your Oneplus 2 Device from recovery mode, It may take up to 10 minutes for complete flashing process, and then reboot your Device. For Flash CM13 in your Oneplus 2 After flash Oxygen OS, you need the modded version of TWRP Recovery to be installed in your Oneplus 2. Let's checkout how to do it now from below. Open My Computer from your PC, Then Goto C:/ and You will see adb folder there, Just open it. Hold Shift Key, and Right Click anywhere in blank space, and click on Open Command Window here option. From your Oneplus 2, Now Goto Settings – About Phone , and tap 7 Times on Build number. Go Back to settings – Developer Options, and enable Advanced Reboot Option. 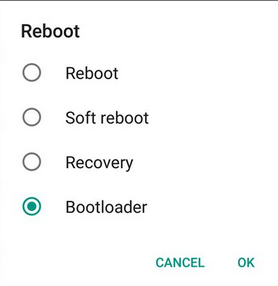 Now Click on Reboot, and Select bootloader Mode. 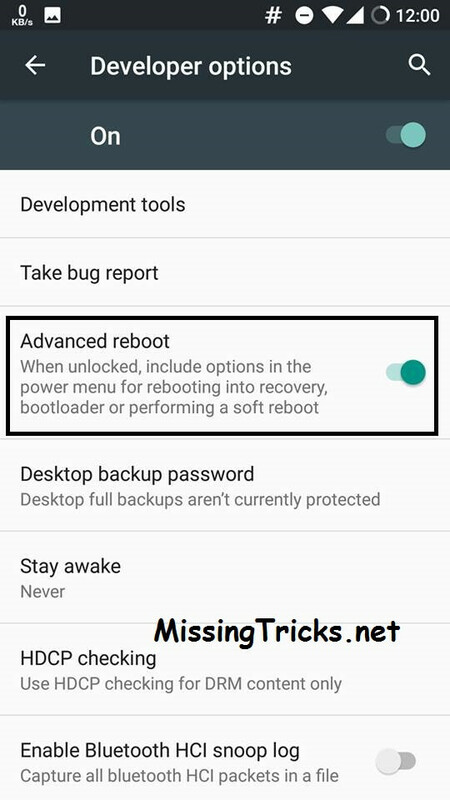 Now your device is in the fastboot mode, simply move downloaded TWRP Recovery to adb folder which is located in C:/ drive. Make Sure you have Connected your Oneplus 2 To PC via USB Cable. It will flash TWRP in your Oneplus 2 Right Now, and Enter the below command for reboot your Device to normal Mode. Now your device will reboot to normal mode, with TWRP Installed. Now Simply Follow Some simple steps now from below for flash CM13 Official in your device. Fastest Fingerprint Sensor Speed For Unlock the Device. and all other CM13 Features are included in this ROM, You can Flash in your Device right now and enjoy it. Follow below easy steps now from below for flash Official CM13 in your oneplus 2. Select ARM64 – 6.0 – pico while downloading Gapps. Then Move These 2 downloaded files to your device, it will be better if you copy the file in root of the internal storage. Now Again Long press power button – reboot then select Recovery. It will open TWRP Recovery mode in your device now, Goto Wipe – Wipe data and it will wipe all data from your device. Simply click on install button and select cm13 zip file from your device, and simply swipe to confirm flashing process. Then Simply Click on Reboot System option, and you are done. Now your Oneplus 2 Will Boot in Official CM13 Custom ROM. 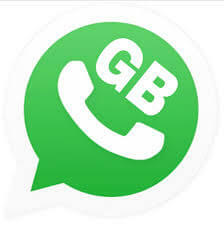 Enjoy this awesome ROM in your device with above installation guide. So this was the way for flash Official Cyanogenmod 13 on your oneplus 2 Right now. 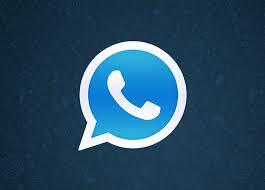 This ROM is very stable, and I am using it from last few days, I haven't faced any kind of bugs yet. For any further questions or suggestions regarding this Guide you can simply comment below, I will try to help you out. 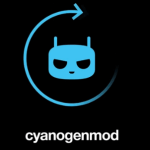 Simply Enjoy this official Cyanogenmod 13 on your Oneplus 2 Device and Peace out. Good Article. Self Explanatory. Here Is My Situation Now. I Need To Install CM On This. But, I Come To Understand About “Old Bootloader” & “New Bootloader”. Can You Help Me Understand How I Can Go About From The Above Situation To CM? no, you have to flash oxygen OS beta 2 first for flash this Official CM. Arsh how to update the infocus m2 software by using laptop . i have Grarak’s TWRP on Oxygen os 3.0.2 ..
can i flash cm 13 nightly and gapps directly without doing anything ??? reply asap and thanks in advance., btw hws the battery life and stability of cm 13 ? 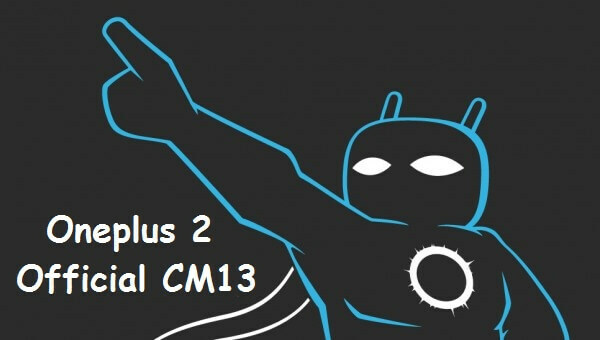 do i need to flash super SU after im on cm13 ??? Hi there, Old TWRP will not work for flash this CM13. So please flash modded TWRP which is available in this post. and battery life is good , device perform much better with this ROM. and you don’t need to flash supersu in this rom because it’s already prerooted. you have to enable root access via developer options. modded TWRP is same that of garek’s TWRP right ??? 1. Bluetooth not working with the cr stereo, before CM13 the OxygenOs 2.2.1 is working fine with the bluetooth for phone call. but not now with Cm13. 2. when i received update infor, i download the zip files (only CM zip files) into my hp but do not know how to update ? 3. making calls – the receiving end does not hear me clearly, from what i ask the receieing end the hear my voice but low volume and coarse. any help for this. Hello again. I can’t boot in Grarak’s recovery (or any other recovery as I lost the 3.0.0.2 Official TWRP now). The phone is stuck at the 1+ screen. Any ideas please? Thanks again. My phone is not bricked. In fact I managed to go back to official TWRP official 3.0.0.2 now via fastboot. It’s just that I can’t flash any other recovery. I tried Grarak’s and I tried the TWRP Hybrid. They flash successfully but when I reboot into recovery the phone gets stuck at +1 logo. 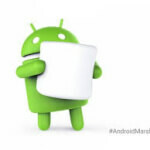 have you updated your device to oxyge os marshmallow? No never. I think that’s the problem. When i bought the device i never used Oxygen but I immediately installed Grarak’s unofficial ROM, so I think I have to update the firmware before updating TWRP, what do you say? I followed the all the instructions here on my Macbook pro (with the MAC OS X terminal you have to use ‘./fastboot’ instead of just ‘fastboot’, same for adb which is ‘./adb’ instead of ‘adb’ -Keep in mind you have to install the adb and fastboot stuff a bit differently on Macs-). But again. besides from that I followed ALL the instructions as are shown in here and it worked 100% right. Now I’m a happy Oneplus 2 owner with a brand new CM3 Official ROM. Thank you For Valueble Comment! working like a charm but sometimes give false battery percentage ! i tried it but not worked for me do i need to also clear dalvik from recovery……………. and one Q also ….if i factory reset phone then will i have to reflash google apps……..
What do you mean by ‘root of the internal storage’? Thanks Sarah another question. 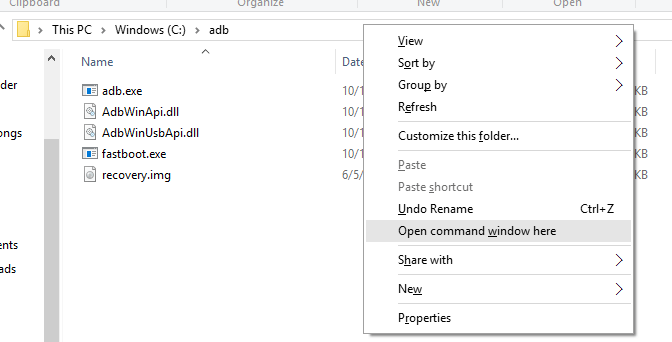 The adb drivers were installed in a folder called android in C drive rather than adb. Is that going to be a problem. Also could you please add some screenshots of the command prompt window with the commands in it? Bro there is two files for download Build & recovery . which we download and how to install these files with gapes. what if my oneplus two is already running oxygen 3.01.Do i have to flash oxygen os or i van directly flash cm13 on it?and do the fingerprint sensor works on cm13? 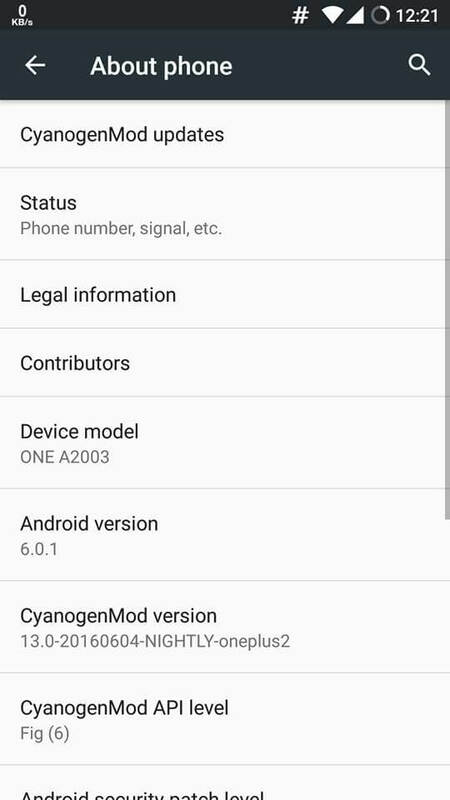 After installing CM 13 will I receive OTA updates from Cyanogen on oneplus 2? I have a rooted oneplus 2 and currently “cm-13.0-20160603-UNOFFICIAL-oneplus2.zip” is running on my device. I tried, flashing “cm-13.0-20160728-NIGHTLY-oneplus2.zip” but it did not work and I got an error. How to go about it if I want this official nightly to be flashed. I am getting the below error and the phone is stuck at Fastboot mode. Is the battery life better on cm13 than on oxygen os 3.0.2? On oxygen OS 3.0.2 there is a fingerprint issue where the fingerprint was detecting the pant fabric also as a fingerprint . It will fail obviously but as a result it caused a lot of battery draining and heating up issues. Does this problem persist in cm 13 also? Or has it been taken care of? I am on cm13 and its greats.Thanks for the great tutorial.But there is no face recognition option? Has it been deleted from the cm 13? I am on Oxygen Os 3.1.0 . Do I have to flash 3.0.1? What version of closed module can I install in this ?